The Duprees are known the world over for their romantic interpretations of some of the most beautiful love songs ever written. They have made a career out of giving new life to old hits. If you take the Glenn Miller arrangements of the 1940's along with the tunes of Joni James, Frank Sinatra, Jo Stafford, Nat King Cole, (just to name a few) and put them together, you have the sound of The Duprees. 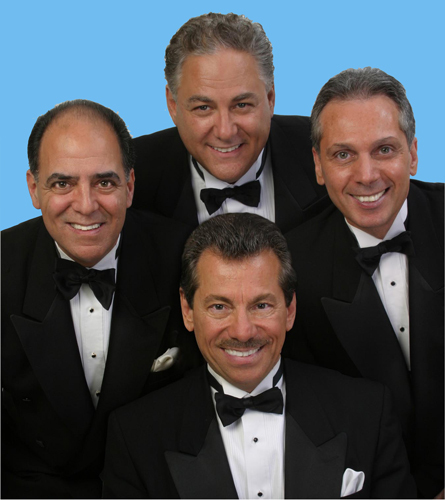 With their unique sound and outstanding vocal harmonies, The Duprees are still entertaining audiences in major venues throughout the world; appearing with some of the biggest names in show business. Although there have been changes over the years, the group is still intact and still performing to standing ovations at each performance.